Sorry, You Know I Also Meant Red Sox, Right? 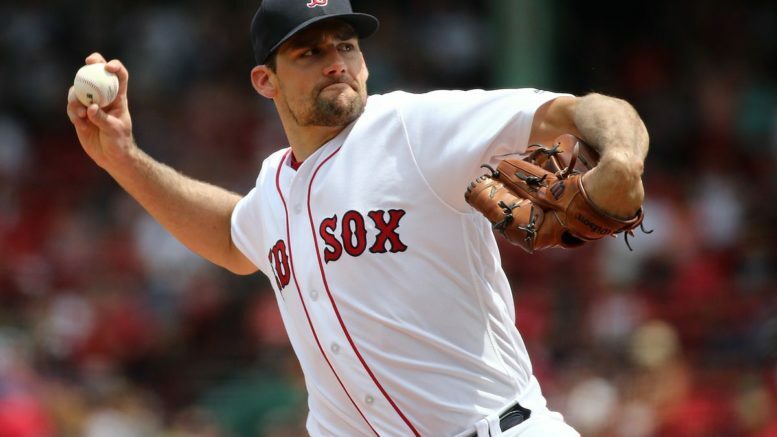 Nathan Eovaldi dominated in his Red Sox debut last Sunday. Much like a newspaper when they regret an error they’ve made in publication, I feel the need to correct myself. One month ago, I wrote this article on the Yankees being a shoo-in for the World Series. The article, of course, was somewhat tongue-in-cheek, an “I’m-half-kidding” commentary on the dominance of the Bronx Bombers. But if you’ve paid attention on here at all over the years, you know that in my mind, the Yankees and Red Sox are basically interchangeable. Last December, when the Yankees traded for Giancarlo Stanton on the heels of a near World Series appearance, it seemed they would be a shoo-in for the 2018 Fall Classic. But two months later, J.D. Martinez happened, and the dominance of Evil Empires in the AL East doubled its mass. With bounce-back seasons from all of their stars, the Red Sox have a chance to not only win the division, but make history in the process. At 75-34 heading into their four-game showdown at Fenway with the Yanks tonight, the Sox have a 5.5-game lead and are very likely to win their third straight AL East crown. The problem is, since they will have the best record, they will play the winner of the wild card game in the ALDS — possibly and probably the Yankees. That is bad news, because I do believe the Bombers are the one team that can beat Boston in the playoffs this year. New York is 5-4 against Boston, 5-2 against Houston, 3-0 against Cleveland and Seattle, and 2-1 against Atlanta, Philadelphia, and Oakland. And yet they’re 6-6 against the Orioles. Figure that one out, will you? On the flip side, the Red Sox haven’t been all that spectacular against the top teams. 4-5 against the Yankees. 4-3 against the Mariners. 3-3 against the Astros. 2-4 against the A’s. The bottom line is, even though the Astros and Indians will be overjoyed to play each other and not either the Sox or Yanks in the ALDS, I don’t believe that either will represent the Junior Circuit in the 2018 World Series. I think that the winner of the Yankees-Red Sox ALDS matchup will in fact be your World Series champion. I know I didn’t say that specifically before. But you knew what I meant, right? Be the first to comment on "Sorry, You Know I Also Meant Red Sox, Right?"